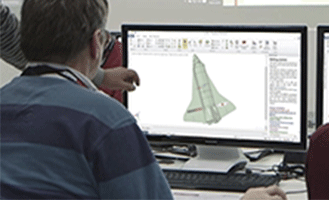 Oxford, UK, 20 December 2016 – RS Components (RS), the trading brand of Electrocomponents plc (LSE:ECM), the global distributor for engineers, today announced that user activations of DesignSpark Mechanical (DSM), the company’s free-for-download fully featured 3D modelling and design tool, has now reached a cumulative total of 200,000. In addition to reaching this major milestone, the volume of total activations of the software is continuing to increase at a rate of between four and five percent per month. Developed in conjunction with SpaceClaim, the leading provider of flexible and affordable 3D modelling software for engineers, DesignSpark Mechanical is a key tool in the RS DesignSpark initiative to provide engineers with resources that enable them to rapidly develop prototypes in the product concept design stage. Originally launched in late 2013 with a second version offering new functionality introduced the following year, the software is also available with extended professional engineering options, which turns it into a highly capable and very low cost 3D CAD solution. DesignSpark Mechanical is available for free download at www.designspark.com/mechanical. Support can be found via the DesignSpark community at www.designspark.com.